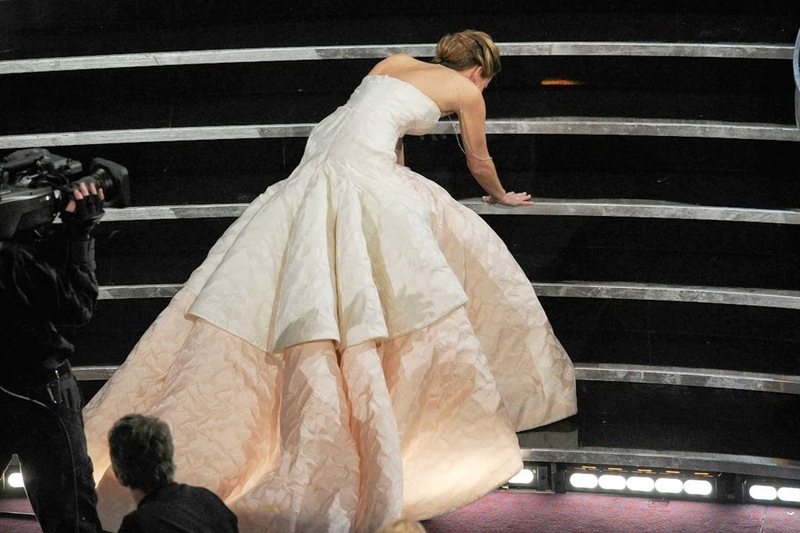 Hiking In Heels: Favourite moment of The Oscars ever? Well, that's easy. It has to be Jennifer Lawrence accepting her award for Best Actress in a Leading Roll. The dress was stunning and the award was well deserved, but the thing that I loved the most was the answer to the question everyone wanted to know "What went through my mind? A bad word. That starts with F."
Jennifer Lawrence, although now an award winning Actress is still as normal as you would like her to stay. I can't wait to see what she has in store for us at this years Oscars. I love her! So grounded.